I spent the better part of a recent afternoon binge watching Giada at Home season 1. 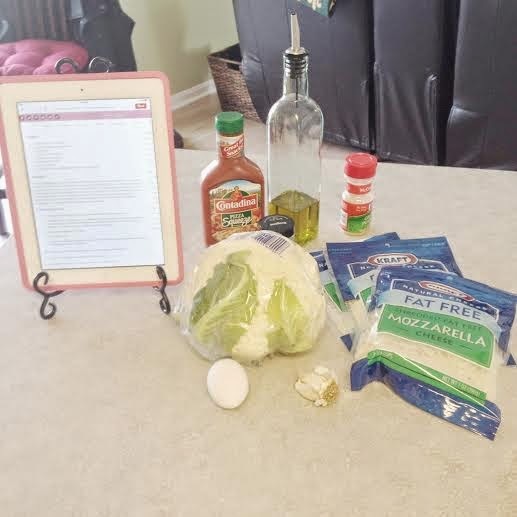 When I watch Giada (or any professional chef for that matter) the thought briefly crosses my mind that I, too, could cook a home made meal or two without poisoning poor Nick. Things can be a little hit-or-miss around these parts in the cooking dept., so I'm always skeptical. Coupled with watching Giada was a lot of food pinning. Paleo this, whole 30 that, and the most scrumptious summer cocktails you-ever-did-see typically frequent my feed. 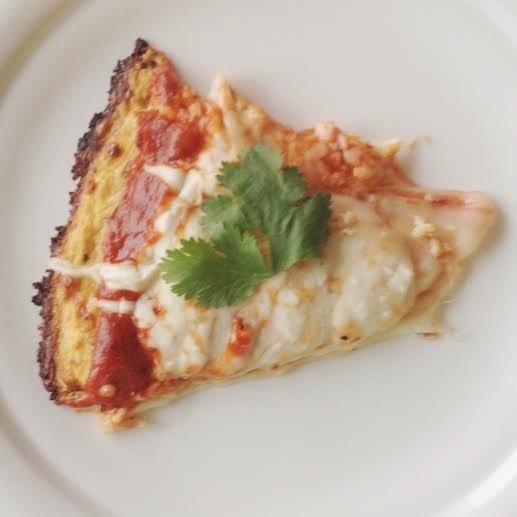 I was looking for something easy to try that would mix it up a bit and came across instructions on how to make cauliflower pizza. Giada gave me the courage to put on my big girl pants and give it a shot. She was busy making a 3 course meal complete with gorgonzola stuffed portobello mushrooms, cranberry & cornmeal cake, and penne with shrimp and herbed cream sauce, so the least I could do was whip together a pizza. Results: approved by me, whereas Nick was indifferent. I'll take it :) He's more into the real deal, so this was a little out of his comfort zone. Preheat the oven to 450 degrees. Spray a cookie sheet with non-stick cooking spray. 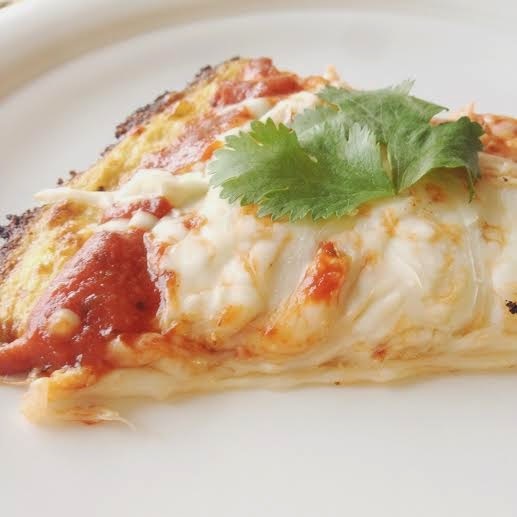 Mix together cauliflower, egg, & mozzarella. Add oregano, garlic, garlic salt, & stir. Put onto a cookie sheet & form into a 9" round. Before baking, drizzle/brush evoo on top. Bake for 15 minutes. After baking, add toppings and replace in oven for an additional 3-4 minutes. Let cool, cut, & enjoy! Note: these are individual portions orrrr great for an appetizer portion :) Your grown hubs will not be completely satiated if this is all you give him. Oh well, you live and learn! yum!! i've always wanted to try that!! !